Comment: Replace trim and fascia board and reinstall gutter. All boards,nails,and end cap gutter has been purchased and painted by myself. Comment: We have a 30 year old home with original wood siding. The siding both on the front of the home as well as around the windows upstairs is water damaged. Some of the areas are damaged enough that the underside is exposed. Comment: Back of the house on the flat roof needs fascia board replaced. Comment: chimney is framed siding, starting to deteriorate and needs replaced. Longview Siding Contractors are rated 4.75 out of 5 based on 194 reviews of 14 pros. 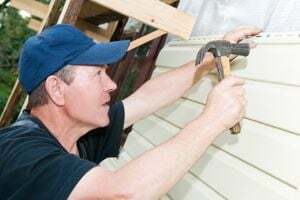 Not Looking for Siding Contractors in Longview, TX?